Studio 35sqm on the 3rd floor without lift with balcony is part of apartment residence in the heart of historical city centre oriented to a courtyard. Apartment has comfort space and privacy with friendly interior styled in warm colors. Consist of an ante-room with storage space for clothes and shoes, kitchen with fridge, electric cooking panel, one room with double bed, sitting area, bathroom with bathtub, toilet, bidet, washing machine, washbasin with mirror and from room is access to balcony. 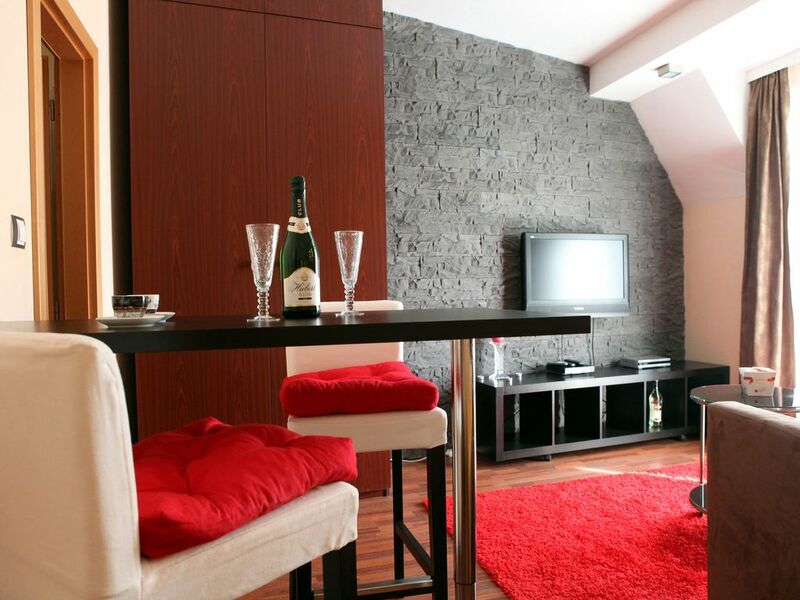 Apartment is furnished and equipped well, satellite programs and free Wi-Fi are available. Medieval Castle, the Presidential Palace, Old Town Hall, St. Michaels gate and many other sights are only 5 minutes by walk from the apartment. Check in is possible from 14:00 - 21:00 hrs. Check in process is at apartment address at Obchodna street nr. 544/7 in agreed time. Please inform us about your arrival time at latest day before your arrival. Our representative will meet you in front of the gate to proceed your check in.